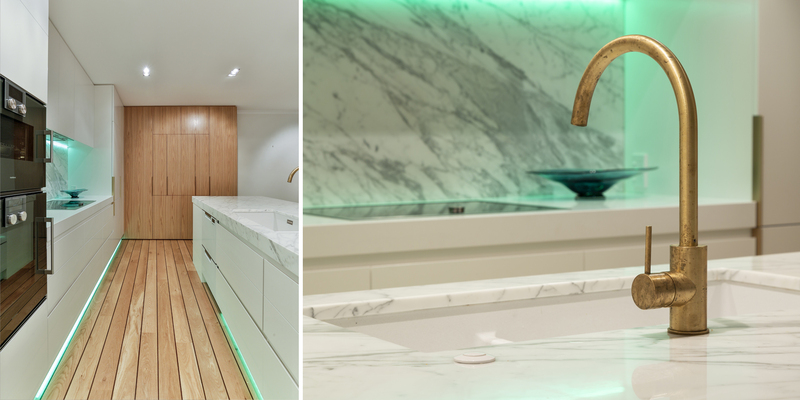 Kitchens By Design | Kitchen Design for Discerning Clients : Viaduct. 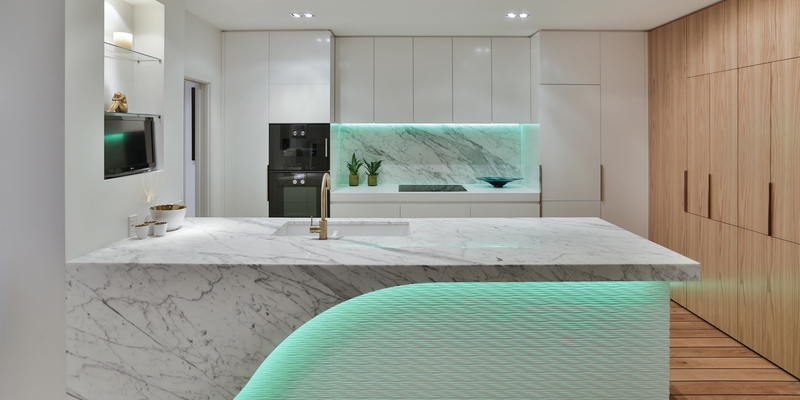 The ‘wave’ cutout at the front of the kitchen peninsula gives drama and the wow factor requested by the client. To add extra texture, it was backed by a textured wave board that gives a 3D effect when the lights are on. 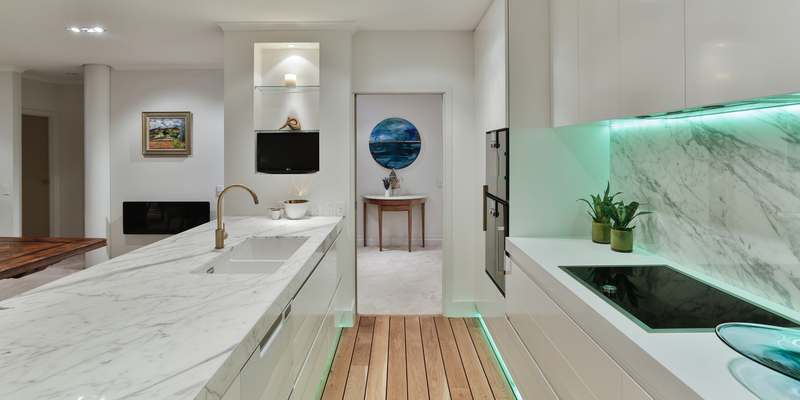 The marble adds another level of luxury to the space. 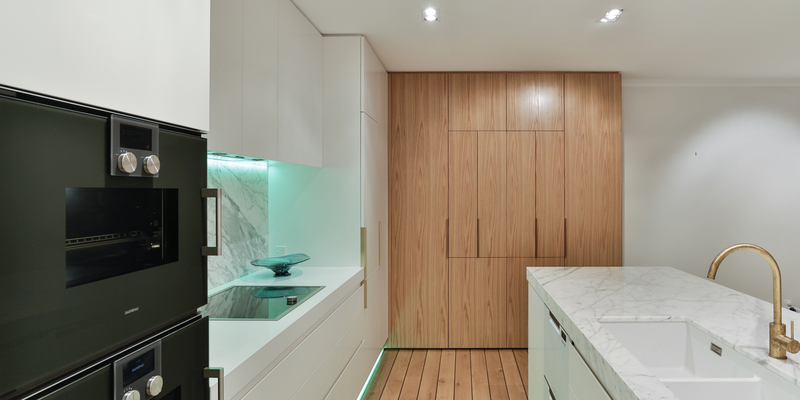 And to ensure that nothing competes with it, the back wall of cabinetry is kept simple and white. Where handles and pulls were necessary, they were kept minimal – matched to the brushed brass mixer tap on the island. 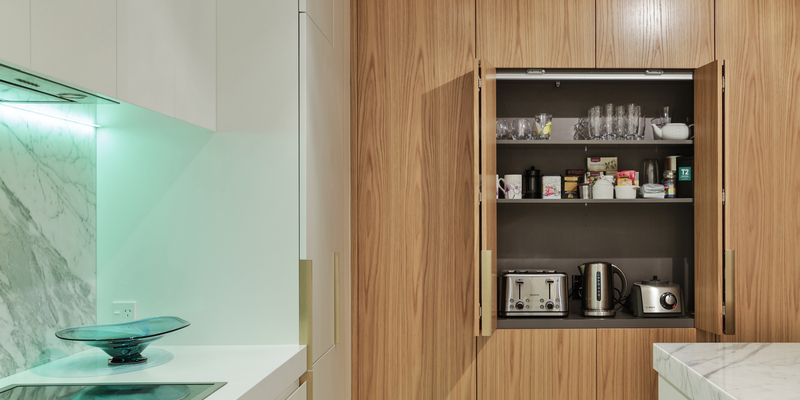 Keeping with the minimalist theme, the fridge-freezer has been subtly integrated into the cabinetry, and a sleek, glass-topped induction cooktop installed. 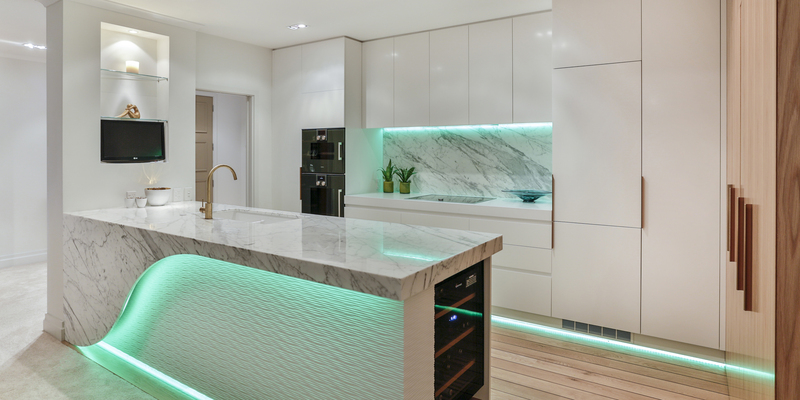 A pair of wall ovens and a cleverly placed wine fridge at the end of the peninsula finishes off the suite of top-end appliances. Where handles and pulls were necessary, they were kept minimal – matched to the brushed brass mixer tap on the island.